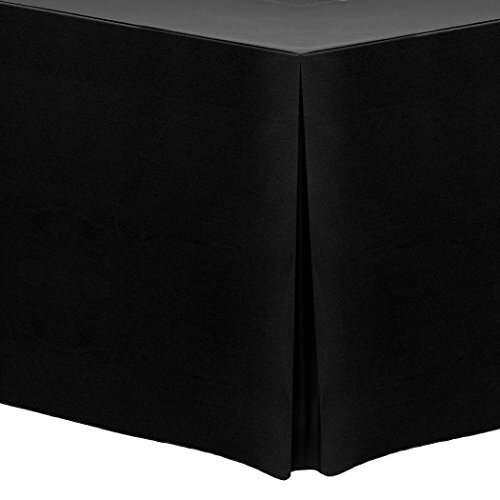 Cover event, banquet, buffet or display tables with 8 foot Polyester Black Fitted Tablecloths at your wedding, trade show event or formal presentation. These easy care machine washable cloths drop 30 inches to the floor and make for a clean and tailor fitted look. Made for tables with dimensions of 30"W x 96"L x 30'H.